As any reader of my blog knows, I love, love, love the pressure cooker. It gives me scrumptious foods in a fraction of the time. So when I need it fast (which I usually do) the pressure cooker wins, hands down. However, my solar oven will also give me delectable delights while I leave it and forget it, and the resulting taste, even in some of the most innocuous dishes, is incomparable with any other form of cooking. It provides distinctly unique results to meats, breads, vegetables, rice, pizza, and even brownies! (In fact, I’ve heard stories of some teenage boys who won’t eat brownies any other way now that they’ve discovered the merits of a solar oven.) Before I get carried away with the food aspect of the solar oven, let me start with the basic benefits. Obviously, storing a year’s supply of fuel to cook, light, and heat your home in the event of an emergency is not feasible for the majority of Americans. It can also be hazardous depending on what kind of fuel you’re planning to use. Thus the limited amount of fuel you are able to store ahead of time will be precious in a time of uncertainty. However, a solar oven will make use of the FREE fuel God’s provided us, allowing you to divert the majority of your available fuel resources to other needs besides cooking. You can use a solar oven on any day of the year in which you have full or almost full sunlight, even in the winter. It makes absolutely no difference what the outside temperature is when you use it. The majority of your dishes will take only 2 to 4 hours to fully cook. Your food will never burn or scorch (although baked goods will dry out if left in too long), and you will have effortless clean up afterwards. (Thereby conserving your physical energy as well—a big plus!) There is no danger of a fire, and with the exception of frying foods, there’s not much you can’t prepare successfully in a solar oven. Another very interesting benefit of the solar oven is that it is typically waterless cooking. That’s right. If you want to cook a pot roast, simply put in your meat and your seasonings—no water—and allow it to sit in your solar oven for 3 to 4 hours, depending on the size of the roast. When it’s done, it will simply fall apart into tender pieces, and you’ll have plenty of liquids left over to make scrumptious gravy with. Much like the concept of a pressure cooker, when you cook in a solar oven, your foods will actually retain more of their nutrients this way, and certainly be more flavorful and tender. You want to cook vegetables? No need to water down the nutritional value by adding water. Simply put them in your container in the solar oven and you will have yummy results a couple hours later. You can even put corn on the cob still in the husks in your oven, and they will turn out so delicious and tender you may easily do without the salt and butter. Want “hard-boiled” eggs? Just put the raw egg in a dry pot in the container Mother Nature provided and let it cook for 1.5 to 2 hours—less time if all you want is a “poached” egg. Since water weighs more than air, adding water to a dish, such as soup, will actually take longer to cook than even a whole chicken—although soups and such turn out just fine in a solar oven as well. In fact, the solar oven is ideal for pasteurizing your water for safe cooking and drinking consumption. (Think of all of the fuel and personal energy you will save by not having to boil your water or treat it with expensive doo-dads!) Think you’ve got “little friends” in your wheat? Simply “bake” the grain in your solar oven for a couple of hours, and you’ve got “critter free” grains that are easy to sift out any unwanted guests from. That’s a heck of a lot better than throwing out the good pasta, rice, beans, and wheat, due to some enemy infiltrators, right? While you can purchase a wide variety of solar ovens, they are also relatively simple—and definitely affordable—to make. (For more information on DIY solar ovens, click here and here.) However, to be honest, I prefer to buy mine so that I don’t have to figure out how to make one when I need it most. Here are the basic fundamentals of an operating solar oven (not to be confused with a parabolic solar cooker). Sunlight has to pass through a glazing shield of some sort-usually glass, and then be absorbed by a black interior and black cookware. The heat rays from the sun are long and thus they cannot escape the oven, so they remain inside. The reflectors you will use allow for more of the sun’s rays to pass through the glazing layer, increasing the temperature within the cooking chamber as a result. Most solar ovens will get up to 350 to 450 degrees. Just so you know, any food can cook at 180 degrees or more, it simply will take more time than you’re used to at such lower temperatures. You can make anything in a solar oven that you can on the stove or in a regular oven with the exception of frying. I haven't made cookies in a jar. But I have made cake in a jar. Yummy! Thank you for all the interesting articles. I am very interested in solar cooking and will soon have one. How do you make cookies in a jar? 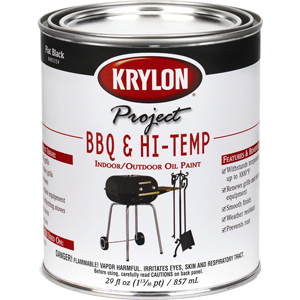 Can you make things that require a lot of stirring like gravies or sauces, etc.? Are there things you cannot make with a solar cooker? Does it get hot enough to fry things? Thanks. Any info would be appreciated. Great artcile on solar cooking. The funnel cooker is a great design. It's simple, and easy to build. 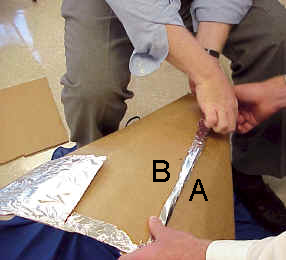 In effect it is the simpler version of a parabolic solar cooker. The more people who promote the wonderful world of solar cooking, the better. The information on how to make a parabolic solar cooker is great. Thanks for the heads up. I've only just discovered your site and I'm so appreciative of the wealth of information you've so graciously put out for those of us just getting started with this sort of thing (and not in a way that makes me want to curl up into the fetal position and whimper like some sites do! LOL). I wonder...could you tell us what BRAND of solar oven you have? I've been looking online and apparently there is a vast difference in quality of structure, etc... however there are very few consumer reviews. You seem very happy with yours, can we trace it down a little better? Hey Amber, welcome to our site. I use both the Global Sun Oven and the SOS Solar Oven. I have each one for a specific purpose. One gets hotter than the other, and one holds more than the other, etc. If I had to "start" with just one, I would get the SOS Solar Oven. If I were you, I'd check back to www.solarovensforless.com in about a week. Their website should be up and running then and that's who I've purchased mine through for the best prices/terms I could find. Thanks so much! I was up til 2 am reading your site last night! You are so gracious to put all this out there for everyone! Although I'm preparing, I feel overwhelmed (either you feel like no matter what you do isn't enough or that you are going to forget something OBVIOUS, haha) but your info really helps me focus and prioritize. Wow... what incredible information! I just found your site today and can't get enough! Thank you for sharing all of this wonderful information!!!! never mind, I just saw the other post you made. Thanks! I tried that link for solar ovens, and tried to call the number, without success. Would you mind letting me know who you bought yours from? Their number is 801-734-9596. They are open from 8:30 a.m. to 5:30 p.m. Mountain time. Some times they may be on the other line and one will need to leave a message. I don't believe their website is functioning as of yet though. I was wondering if you would know if you can seal gallon jars and how to do it. Also how do I preserve butter? Just make friends with the search bar on here, Doris. You'll find exactly what you're looking for and a few bonuses to boot. Just put in the keywords you're looking for.